My first time in Jazzahead coincided with the exhibition's tenth year. 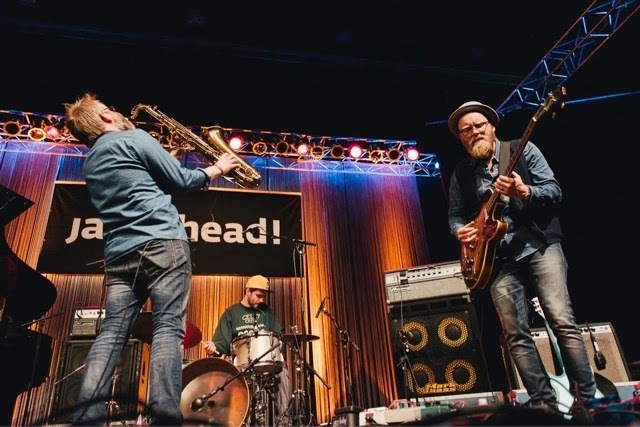 Started with just a fair where mostly European jazz professionals were meeting each other in 2005, Jazzahead has become a 4 day jazz medley of conferences, showcases and exhibitions in these last 10 years. Although European dominance is still obvious, as far as I can see it's on its way to become more global. 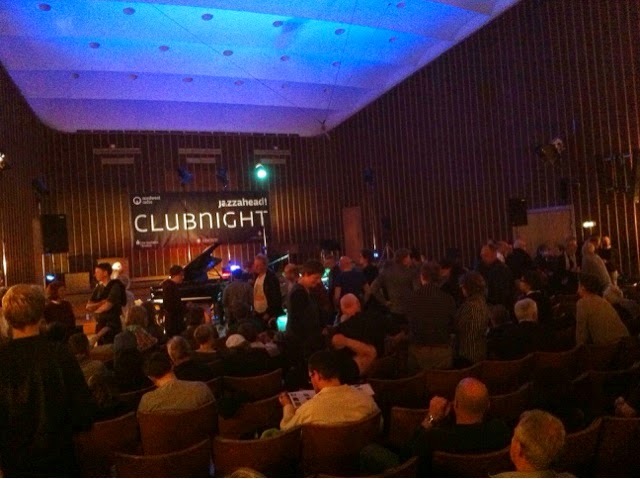 To start with, Jazzahead 2015 was between 23rd and 26th of April - from Thursday to Sunday as always. The location has always been Messe Bremen but the place allocated in Messe for Jazzahead has been changed this year and it is moved into a bigger hall. The fair area was full of booths for exhibitors who are mostly representing a label, a booking agency, a musician or a country. Besides, there were many attendees who have no booths but are reprensenting themselves using many public areas supplied to them by the organisation. For the showcases of 30 minutes short concerts, which were taking places in first three days starting at approximately between 2 pm and 3 pm and going on till midnight, two dedicated areas in the Halle 7 were turned into a concert hall with the names Halle 7.1 and Halle 7.2. Besides, Kulturzentrum Schlachthof, which is the nearest building to the hall, was used as the third performance area of showcases. 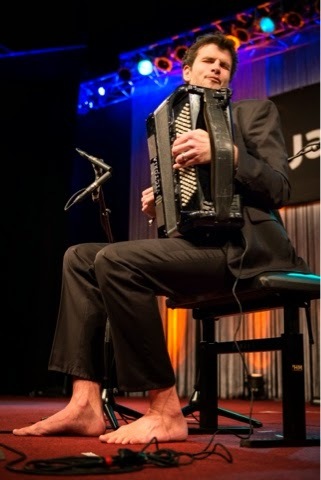 The bands for showcases are chosen among many applicants with a jury composed of many experienced jazz people all around Europe. 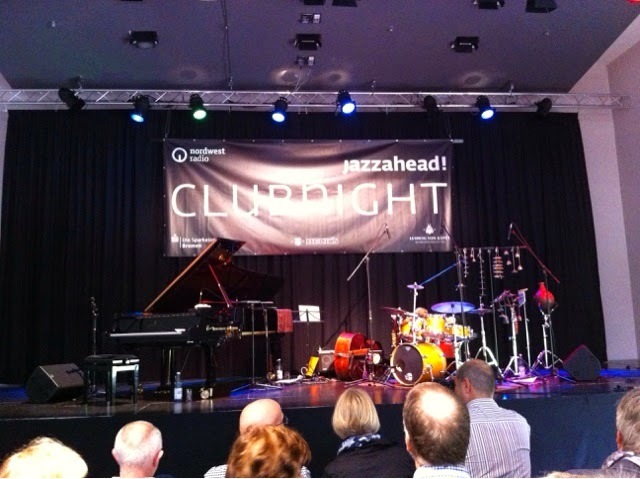 Jazzahead Clubnight is a concept existing since 2011 and it is held on Saturday nights with many concerts in several places all around Bremen with a single ticket or the full pass. 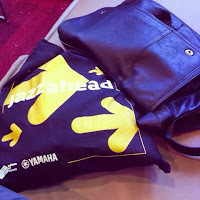 The first day of Jazzahead starts at 3 pm while the others start at 10 am. Each year there is a partner country for whom a day, a big stand and an individual concert in Die Glocke, Bremen is dedicated. It was France this year and Switzerland was announced as the one for 2016 on the last day of the fair. Considering the location, the best place to stay seemed to be Maritime Hotel on the map which is said to be linked to the exhibition hall by a dedicated aisle (this is said to be changed this year). In my opinion the hotel B&B Bremen -which I also stayed in- is a very optimum choice considering also it's not-so-expensive prices. Since, Messe is closely located to main train station, it is also feasible to use many other hotels which are near to this taking even late night and rainy day walks into consideration. If seeing city center or joining the Die Glocke concert are among what are planned, we can say that Messe's jazzahead side to the station takes 5 minute walk whereas it takes 10 more minutes to reach city center. If a direct transfer with heavy luggage from airport to the hall is needed, it takes almost 15 Euros with the taxi. The weather seems to be fine throughout the exhibition except some rain and this can only be a problem while you are travelling for Jazzahead Clubnight or walking back and forth on the 100 metres between Kulturzentrum Schlachthof and Messe. My first day was mostly about trade fair and meetings and I started by taking my badge from the first entrance which includes many informative sheets as well as my card and wristlet. I was registered as a freelance journalist. As a reminder, carry the card and the wristlet all the time with you and be careful about the card, because the mechanism was a loose one which can make you collect it from the ground many times. Besides, since the wristlet can be an all days one make sure that it is not so much tightened in order to let you live with it for four days. 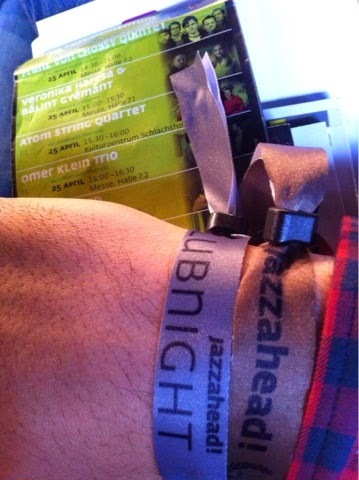 There is an additional wristlet you have to wear on Saturday for Jazzahead Clubnight. For the Die Glocke concert buy your ticket in advance -at least on the first morning- and do not buy it from the far back seats in the gallery where the place is almost completely merged underneath the balcony. The acoustic is still nice enough in here but it feels like you are watching the concert from an LCD screen. Being an inexperienced attendee in my first musically professional environment, although I have contacted to many of my friends in advance to meet there, I did not make any plan based on strict times. So, frankly, I lived some problems for that reason while meeting people. It is strongly recommended you stick to a well prepared plan including all showcases, places for clubnight and meeting hours/spots. 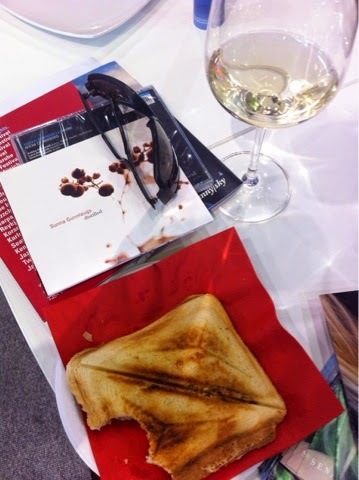 There was a restaurant in Messe as well as a wine & cheese bar and a sandwich cafe. Besides, mostly booths were supplying nice aperitifs and wonderful wine (mostly thanks to France this year) that helps you to get what you lost while walking around and spend your whole day only with a small breakfast and a light dinner. The first day's showcases were presented within the title French Night. Among the ones I could join, Vincent Peirani & Emilie Parisien concert in Halle 7.2 at 8 pm (an energetic saxophone and accordeon duo) and Sylvain Rifflet Alphabet Quartet in Halle 7.1 at around 9 pm (the flute player Joce Mienniel was the highlight) were special ones and I could catch some performances of Orchestre National de Jazz which was impressive too. Theo Ceccaldi Trio, Donkey Monkey and the Supersonic project of Thomas De Pourquery were unique projects and they sounded very differently giving some clues to us for the next generation's jazz music. 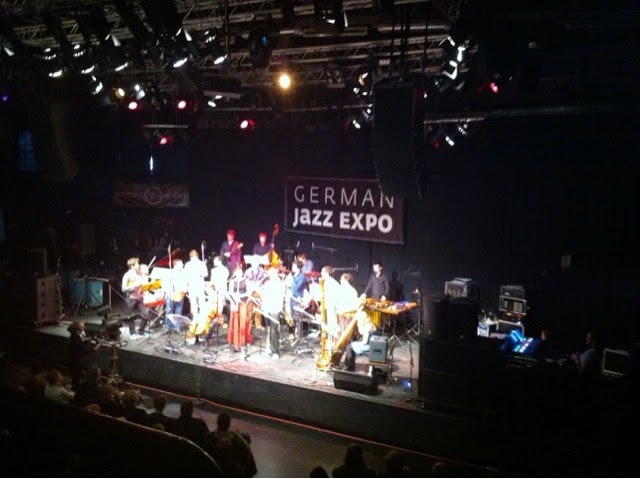 The second day was including German Jazz Expo as well as Overseas Night and Julia Kadel Trio (Halle 7.1 3.30 pm) was my choice as the best. Having been playing together for a long time this promising trio sounds really amazing even in their debut album. Thanks to the nice compositions, structures and a very qualified drummer they will surely be very successful in future. Andromeda Mega Express Orchestra (Kulturzentrum Schlachthof 3 pm) was another highlight with their complex structured orchestral compositions and interesting band leader who is responsible for their interesting compositions. Sebastian Studnitzky's new project Memento in Kulturzentrum Schlachthof at around 4 pm was also impressive especially with catchy melodies and string orchestra accompaniment to Sebastian's piano and trumpet. When it was 8 pm we were at Die Glocke for two successive concerts: Vincent Peirani's Living Being Quintet and Richard Gallliano feat. Sylvain Luc. The dialogues between Peirani and Parisien in the first concert were really worth listening and the performance was appreciated a lot, as easily can be seen from the long autograph signing queue. Richard Galliano's heavenly tone created an amazing atmosphere in Die Glocke merging with Sylvain Luc's unique guitar sound. 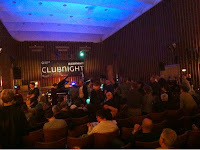 When I was back at Kulturzentrum Schlachthof there was an almost full house Ed Motta, the Brazilian soul singer. The third day was consisted of European Jazz Meeting and Jazzahead Clubnight. 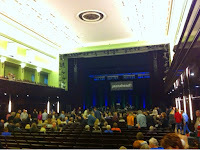 There were amazing performances again starting from a really strong Estonian trio, Peedu Kass Momentum. Led by the bass player the band was awesome mostly for the talented jazz pianist Kristjan Randalu. The clubnight started in Haus im Park for me. There was Makiko Hiyabayashi Trio at 5 pm and it was possible to listen to amazing Marilyn Mazur on percussion and drums. Haus im Park was some 10 km away from Messe and listeners could use a bus travel of about 20 minutes to reach there. Even if I found the signs on the street for "jazzahead" a little bit invisible and I roamed around, I was really impressed with the nice acoustic and amazing performance of the musicians. It was my first time for Marilyn Mazur and it was worth leaving all the other stuff in the fair hall. When it was time for ECM night in the historical place Sendesaal Bremen, I was still trying to find the hall in the lonely, green and wet streets of the city. 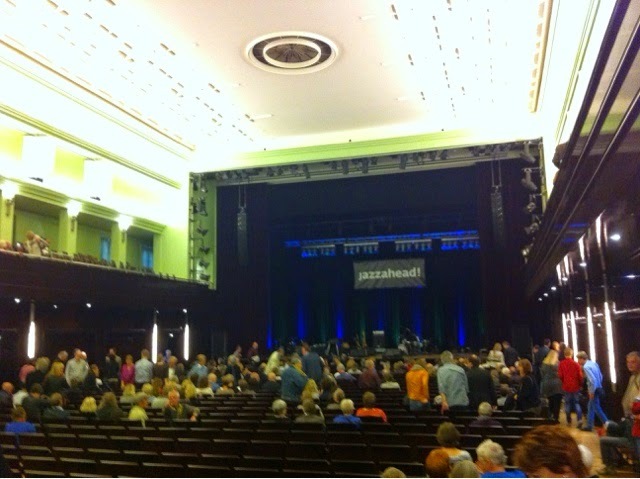 Even I passed by the hall in advance, I could not see it since there was no sign of jazzahead and in the end I could reach the door only 15 minutes after the performance started. Sendesaal rules did not let me in for the first performance of Jakob Bro, Thomas Morgan and Jon Christensen and I could not accept the situation. There was a queue of people there but I was the Turkish guy and could find the alternative way for sure to see at least two performances. Jakob Bro's new project from ECM was amazingly soft and touchy and Thomas Morgan on bass was a wonderful match for the sound. There is no need to say that Jon Christensen was like playing the drums behind some holy curtains between heaven and earth. 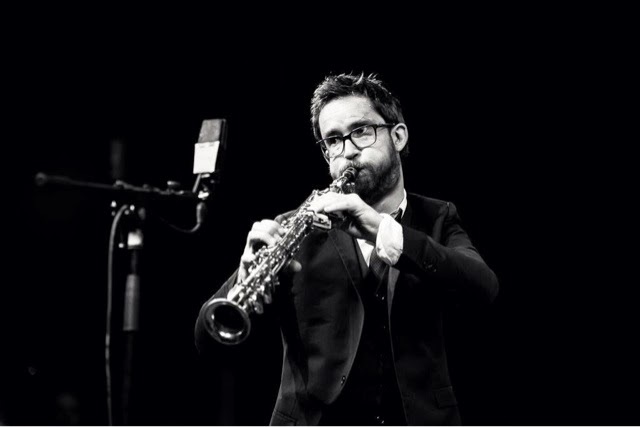 Mathias Eick Quintet seemed to change the style in the new album Midwest a lot. The violin has softened the sound and the compositions were much more melodic compared to previous ones. Even I found it a little bit lacking in improvisation, the overall performance was really impressive. Giovanni Guidi Trio's new yellow covered ECM album - which is rare in the label - seems to be also different in the pianist's style. The structures of the pieces were toggling between fully improvisational difficult ones and easily followed catchy melodies based ones. The day ended with Andy Sheppard Quartet which includes Eivind Aarset on guitar and honestly most of the listeners were wondering about this guitarist, who has very high reputation in last years. The performance was enchanting but the problem was that three full time concerts of ECM sound -no I'm not trying to say anything- made the fourth one almost a sleeping session for the listeners, who were passionately there for the musicians. Same place, less air each minute even there were breaks... It could have been three concerts at most. The fourth day was almost empty with some French breakfast (as it was mentioned in the programme but unfortunately I coud not join) and some farewell speeches as well as next year's partner country announcement. Jazzahead is surely a jazz exhibiton and a jazz network meeting more than a traditional European jazz festival but with just some improvements it can easily include one for new sounds. 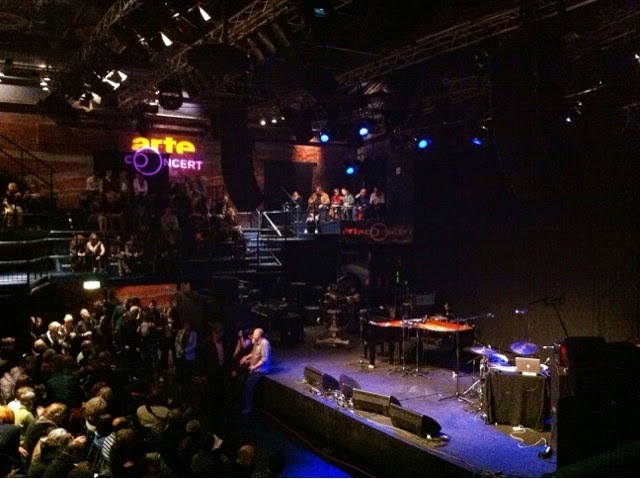 For instance, considering also that the Halle 7.1 and Halle 7.2 were almost never full for any concerts, the space can be used to create a three hall which are sonically isolated from each other so that parallel concerts can be held in order to present much more bands to jazz professionals. Since the weather is not so bad at the end of Aprils some places in the parking area can easily be used as an outdoor stage where people can also hang out. This way also the entrance of a public exhibition can be seen much more attractive than what it is now (just a yellow jazzahead flag). 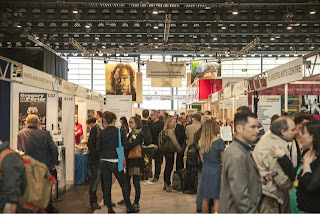 Besides, with the almost empty schedule, Sunday can be removed from the programme letting exhibitors and attendees to save a day in their schedule. Some further improvements can start with adding shuttles for jazzclub nights from Messe at least for the distant ones. Besides, instead of distributing this much musicians around the city, the capacity of the Halle 7 can be used more efficiently as I mentioned above. Even though Sendesaal and Haus Im Park are amazing places, scheduling comparisingly famous jazz musicians all together to these distant areas may result in less attendance to the other places' performances. By the way, as far as I have heard, the Jazzahead Clubnight bookings are made by musicians or managers themselves and jazzahead is not involved with it. Jazzahead became very beneficial and entertaining for me since it let me see many labels, musicians, booking agencies and distributors all together some of which I have been following for years and decide on what I can do professionally in the jazz business. The most important outcomes for me are the new musicians and albums I learned during these four days and they inspired me to write more and more reviews. I will also try to promote many of them in my own country. Jazz is some kind of a special music genre whose boundaries are updated with each passing day and new trial. So being up to date is important whatever you are doing for it. You can compose, play, review, book, manage, release or listen. You are free to do anything with it but in order to contribute to what you make, you have to be passionate about it as well. Hardworking, following, staying updated are necessary but not sufficient conditions. Wherever I go, whatever I do, jazz will be there staying as my passion. Whenever she calls me I'll be there with my ears, heart and brain. Hi - nice intro to Jazzahead! Hi there, you're welcome and thanks for your concern. It was my pleasure to be at the amazing performance and I hope we meet again soon.